Motion Twin’s Dead Cells is a roguelike, Metroidvania-style game with fun and challenging Soulsborne-like combat. The game has an eerie undertone with an almost overbearing theme of death and a constant feeling of imprisonment. The procedurally generated title keeps players on their toes with an assortment of enemies, weapons and environment types. Dead Cells, while somewhat minimalist — apart from the hordes of enemies — tells an often impenetrable story about a character who can never die, named The Prisoner. His body, while humanoid, features a head that appears like a smoky flame — evidently containing the character’s life force. Whenever the character dies, his flame head returns to seek a new body. Motion Twin, both the game’s developers and its publishers, at first doesn’t give the player much equipment or narrative to work with. Players retrieve a sword and either a shield or a bow before beginning their journey. Someone tells you that you’re in a prison and that you have to get out. So that’s what you attempt to do. Throughout the journey, players come across enemies that they have to fight off with their new weapons. Players will discover a variety of new weapons throughout the game including whips, mallets, throwing daggers, dual daggers, halberds and even spells that can shock, freeze and burn opponents. Many weapons also have other abilities that often work in harmony. Throughout one of my journeys, I came across a mallet that burns enemies and another mallet that does extra damage to burnt enemies — the perfect combo. 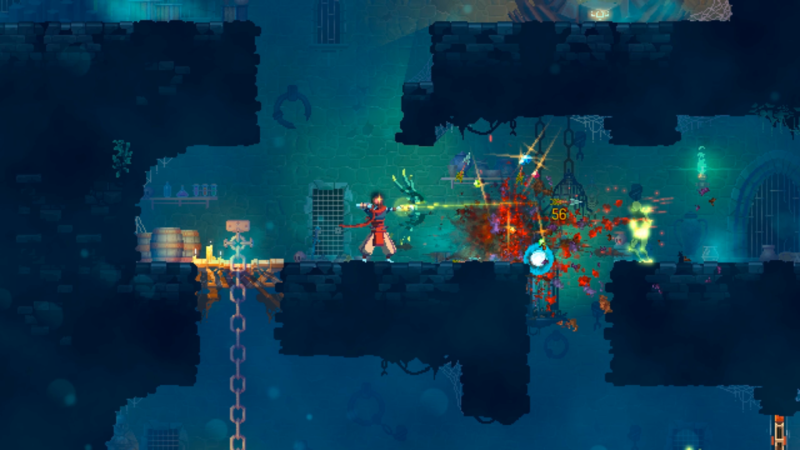 Dead Cells also has a number of deployable weapons that can help the player get through the game. These include wolf traps, grenades and turrets. Each time you die in Dead Cells, you start over at the beginning of the game and at first it feels like you’re destined to fail. However, the more you play the game, the easier it becomes. And it’s not just that you begin to learn the way each enemy fights, which you do, but the more you play, the more cells (a rarer in-game currency than standard gold) you collect, giving you a better chance of surviving your next playthrough. Cells are left behind after killing certain enemies. After finishing a level, the player comes across a vendor who offers to buy these cells. In return, players can use these vendors to buy health potions, special abilities like being able to keep gold after death, and more. In fact, if you find blueprints throughout your travels, you have the opportunity to purchase more weapons with the cells acquired throughout the game. After acquiring these weapons, if you die, you’ll get the chance to find the weapons again as they pop up more often throughout subsequent playthroughs. While The Prisoner doesn’t speak very often, when he does — he doesn’t make an audible sound, only text speech appears — it’s usually a combination of humour and grim knowingness. He understands that he’s dying over and over again, and in fact, players will sometimes run into a pile of dead bodies that the player character recognizes as his own. The Prisoner also pays attention to some of the smaller events that occur throughout the game. The Prisoner notices writing on the walls, he speaks to other characters behind close doors and, at one point, he even loots a body of someone he knows. 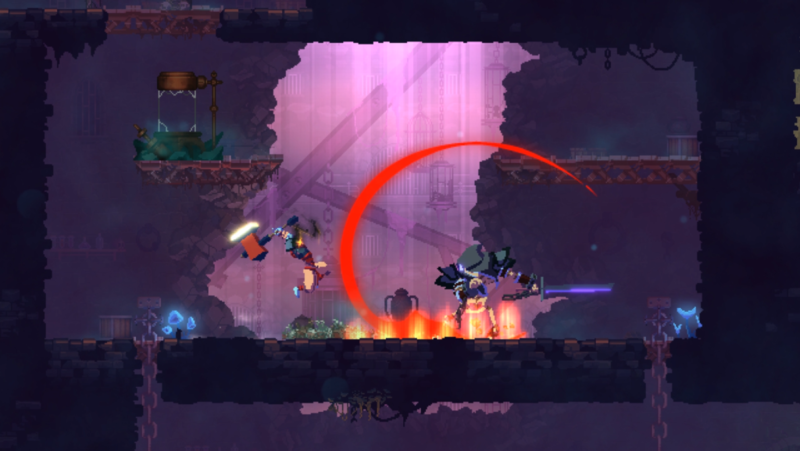 One consistent rule throughout Dead Cells is to always be dodging. Dodging provides the character with a moment of invulnerability, which can be very helpful in tense situations. Another thing I had to remember while playing Dead Cells was patience. Though the game can be beaten in less than 20 minutes, if you’re a beginner or someone who generally isn’t the greatest at Metroidvania-style games (like me), patience is key, especially since the wrong move can so easily become your demise. Ironically enough, Motion Twin also encourages speedruns in its game and certain areas in will lock after a specific time. For instance, the first gated area will close after two minutes while another closes after eight minutes. If you end up getting past the lock within the time frame, there are tons of valuable and useful items to be found. Once you’ve learned an area and its enemies, feel free to speedrun through a level to get to the gated area. Dead Cells also has very difficult bosses and minibosses. In Dead Cells, the minibosses are called elite characters and they’re the key to the game. While the elite enemies look like normal enemies, they can teleport and summon lesser enemy types. Defeating these elite enemies can also unlock runes that’ll allow players to get to new areas. One rune can allow the player to teleport, while another lets the Prisoner climb vines. Bosses, on the other hand, unlock new areas and a number of new items. 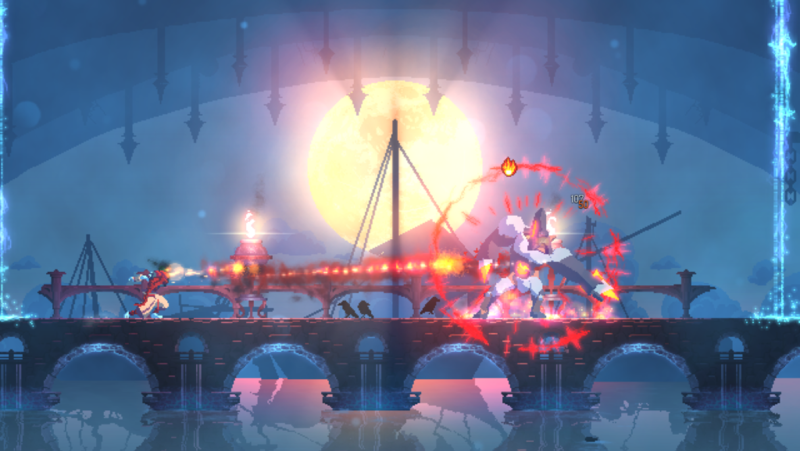 If you don’t mind dying very often — especially during early levels — Dead Cells is very fun, challenging and features a lot of versatility. The game packs in a variety of weapons, traps, enemies and so many ways of going about the world. Dead Cells is not Dark Souls, but it definitely gets players’ hearts racing and deaths can easily be just as devastating. If you’re finding the game difficult, take a moment, take a break and try again, because the further you go the more accomplished you’ll feel. Dead Cells is available on PS4, Xbox One, Nintendo Switch and PC.